Vote forHahndorf, SATop Regional Destinations Which are Australia's must-visit destinations? You help us decide. South Australia's strong European heritage is embodied to the fullest by the charming town of Hahndorf in the Adelaide Hills, with everything from its architecture to its food having a delightful touch of Deutcsh influence. What Australia's oldest German settlement lacks in size it more than makes up for in character, with plenty to see and do. There's plenty of points of difference to set Hahndorf aside from many other townships across Australia; its Elm trees, beautiful buildings and range of premium craft shops selling everything from beer to Belgian chocolates make a visit here akin to a trip overseas all within 25 minutes of Adelaide. The town's main street is nearly continually buzzing with life, and is populated by a number of lovely stores all staffed by exceptionally friendly and helpful people, while it's also home to a surprisingly robust events calendar throughout the year incorporating live music, festivals and more. More than a mere tourist town, pay a visit to Hahndorf and you'll soon find yourself browsing stores featuring immaculately hand-crafted cuckoo clocks, dining on bratwurst sausages, or clinking a mug at a German-themed pub. Hahndorf's historic buildings and enchanting manors and cottages also serve to conjure up imagery of fairytales. Local attractions oriented around sampling strawberries, cheeses, chocolates and - befitting its location amongst the Adelaide Hills - wines abound, with the only limits on indulgence here being placed by either your wallet or your stomach's capacity. Add in family attractions such as quality wildlife attractions and farm animal interaction, and you've got a destination all ages can take something away from. If you're the type who appreciates both hand-crafted premium goods and indulging in the finer things in life such as wines, chocolates and more, Hahndorf ticks all the boxes and then some. Looking to pay a visit to Hahndorf but not sure what to do? Here are some of the most essential experiences. Need more info on Hahndorf? Check out our detailed travel features on this top spot below. 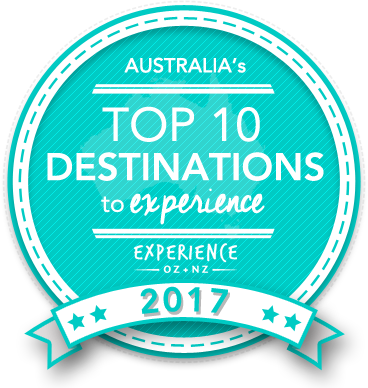 Is Hahndorf Australia's Top Regional Destination to Experience for 2017? Vote now for the chance to WIN an epic trip to one of Australia's top destinations!